After alerting his Twitter followers that he was intent on securing one of Nokia’s new Lumia 900 smartphones, Apple co-founder Steve Wozniak has revealed what he thinks of the company’s new handset and the Windows Phone platform as a whole — and it’s overwhelmingly positive. The Woz is known as a man who loves his mobile tech, so it was no surprise that he would obtain Nokia’s flagship Windows Phone smartphone when it launched to see how it operated. 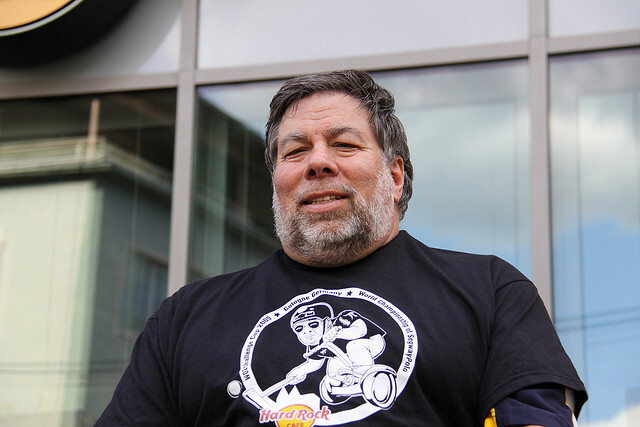 Despite being an Apple man (regularly queuing outside his local Apple Store for every new phone and tablet launch), Wozniak has also been snapped visiting Google’s Mountain View HQ, in order to pick up a brand new Galaxy Nexus. I did give my opinion that the Windows Phone had superior visual appearance and operation cues that were also more attractive. In my opinion, it sets the mark for user interface. I would recommend it over my Android phones given that it doesn’t yet have the breadth of apps. With Nokia facing an uphill struggle to boost sales in a market dominated by Samsung and Apple, Wozniak’s endorsement comes at an important time not only for the Finnish company but for Microsoft, as it attempts to claw back market share from iOS and Android. @stevewoz Welcome to the #Nokia Lumia 900 family! Microsoft and Nokia have been working hard to secure more high-profile apps for the Windows Phone platform, something that both Wozniak and casual users admit limit the impact of devices running the operating system.